Most tenants often associate moving out with a lot of stressful situations and unpleasant moments. However, Cleaners Agency London is here to prove you that there is a simple and quick way to enjoy a smooth moving out. If you are bothered by the look of the property you are vacating, you can always give us a call and book our end of tenancy cleaning service. We can guarantee you that we will help you to forget about the stress of moving out so you can concentrate on moving in to your new home. We are a cleaning company which have been working in this field for quite some time and throughout the years we have learned which cleaning methods can give any accommodation a sparkling clean look in an instant. 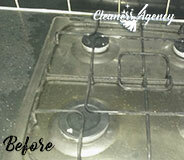 We hope that you will trust us and give our end of tenancy cleaning service a try. Our company is always ready to prove you that we are the best provider of professional help in entire Southgate. We know that you are looking for a great quality service since you are hoping to get your deposit back. This is why we can assure you that all of our cleaners are well-trained professionals who know how to tackle even the toughest stains with ease and give any property a sparkling clean look. We have helped many tenants all across Southgate to impress their landlords and enjoy a positive result. This is why we encourage you to contact us and we promise you that you will definitely get your full deposit back in no time. Achieving high quality of end of tenancy cleaning service and satisfying the needs of our clients is the thing that is most important for us. This is why we always pay special attention to every detail and we are always ready to comply with your preferences and busy schedule. If there happens to be a thing that our cleaners have missed, you can contact us and we will gladly redo the cleaning service without charging you any additional fees. We offer our help across entire N14, seven days a week so feel free to contact us anytime. My roommate and I booked your end of tenancy cleaning services, and the flat has never been so pristine. The housekeepers came on time, and they did a fantastic job. They got rid of the stains I thought would never come out. I would definitely use again. Thanks a lot. When the amount of housework is bigger that the amount of your free time, you probably won’t refuse some extra help. For your convenience, Cleaners Agency London has available cleaners in the whole neighbourhood. We are the cleaning company that understands your needs and provides you with a customised cleaning option. When our cleaning crew is in your home, expect core commitment and cleaning results that matter in the long run. We take pride in having a team of properly trained and knowledgeable individuals. During our long practice, we have encountered and solved a countless number of cleaning issues. 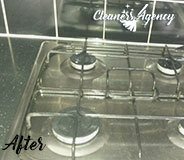 This helped us to optimise our work and today offer you professional cleaning in accordance with the highest standard. For your convenience, cleaning equipment is also included in the price of our service. We supply our teams with reliable but at the same time safe for your health cleaning materials. End of tenancy cleaning is definitely one of our most wanted services. People often change their residences and therefore have to clean the one they are leaving. They usually rather leave the end of tenancy cleaning in our hands, because this way they will actually really receive the full refund of their deposit money. 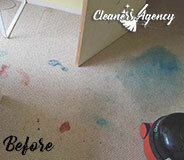 Our end of tenancy cleaning is a deep cleaning of the whole property. Our experienced cleaners are fully capable of achieving amazing results in the goal of preparing the place for the next tenants and getting you back the deposit of your money. 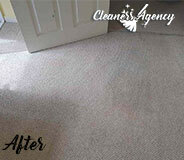 Southgate is where we offer our services and amazing are the results of the end of tenanacy cleaning!